It’s a brand new year, and I’m excited to be taking over as chair of the PBS Digital Media Advisory Council. We’ve got a lot of new faces on the DMAC, six to be exact. They, along with the rest of the group are ready to get started. And while many of our group members have changed, our mission is the same; we’re digital ambassadors from stations of all sizes and license types who provide feedback to PBS about products and services and provide stations with information to do digital well. We got together last November at PBS headquarters to map out our goals for this upcoming year. One of those goals is to be even more connected with you all in the system so that we can be a sounding board to better understand your needs and share tips and advice as we all navigate the ever-changing world of digital. 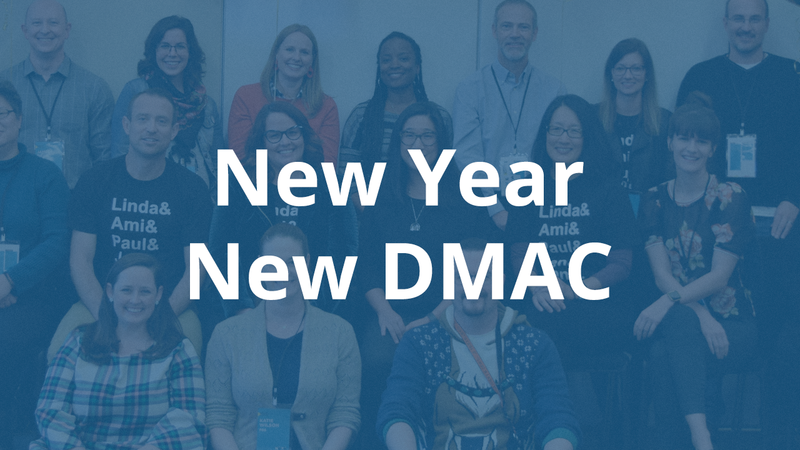 We’re building on our successful first year of the DMAC Outreach Network, and you’ll be hearing from us again, though some of you will have new DMAC representatives. We’re planning for another great year of blog posts, webinars and joining the PBS Lessons Learned podcast episodes like this great interview with DMAC alum Jen Cook and Ami Kim about engagement. You’ll also see our lovely faces again at TechCon. We’re planning for ways to make ourselves more easily identifiable so that we can connect in person. So, you’ll see and hear more of us this year, but we also want to hear more from you. We want to be more responsive and help you solve your digital challenges. Want to start a digital series but don’t know where to start? Wondering how to create and execute a digital strategy? Send us your digital-related questions and we’ll try to address them in a blog post, webinar or podcast episode or point you to places or people who can provide useful guidance and training like the fine folks at PBS Digital Studios. So, welcome to your 2019 DMAC! We’re excited to get started!